There are many outstanding restaurants within walking distance of the park. Most are located across 83rd Avenue, a short walk from the ballpark. (Peoria is marketing this area as P83, which you may see in some promotional materials.) There’s been quite a bit of turnover in the area in recent years, so your fave from five years ago may be out of business. You can walk to all of these restaurants from Peoria Sports Complex. Interestingly, the increase in traffic in P83 has cut down on free parking in the area, as establishments want to maintain spots for their customers. This is a very pedestrian-friendly area, so we’d recommend parking at the ballpark and then walking to your destination. Where to Stay: Staying in Peoria is problematic. On the one hand, there are many hotel rooms available within two miles of the ballpark (some are located in Peoria, others in Glendale). But tour operators, who combine a hotel room with game tickets, reserve many of those rooms months in advance. 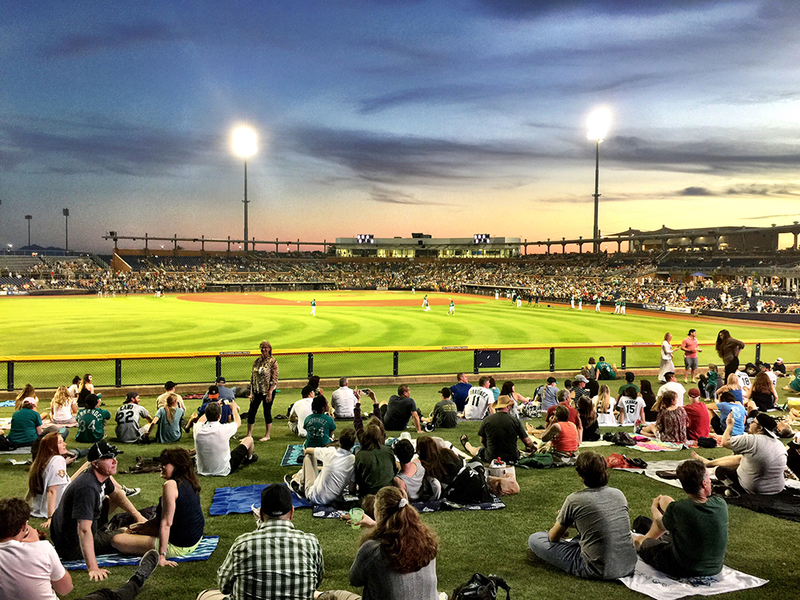 The rooms that are available typically go for $175 or more a night – which is a lot to pay for a room during spring training. To be within walking distance of the ballpark and have an affordable room, you’ll need to make a hotel reservation almost a year in advance or else buy a package from a tour operator. There are five hotels within a mile walk of the ballpark; those should be your first choice. An alternative, should you not want to stay in suburban Phoenix, is just to stay somewhere else in the Phoenix area and then drive to the ballpark. In the middle of the day the freeways of Phoenix are not packed, so there’s usually very little advantage to staying close to the ballpark. Flying In: The closest airport is Phoenix Sky Harbor International Airport. It’s served by all the major airlines, including United, Delta, Air Canada, American, and Southwest.